Our old AM MAX units sold out many years ago and for a long time we wanted to make a new AM transmitter, this time with different, more modern approach, with new better parts and better specs. And we finally did. It is equipped with DSP which makes it possible to control parameters of the audio chain, such as the compression, low pass audio filter cut frequency and preemphasis via convenient LCD with menu system. Other features, such as the fully solidstate PWM modulator which ensures crisp audio, 125% positive peak modulation, compact form factor, plenty of audio input options and LCD display unit make AMMAX3000+ really something special in this modern age. What is new in AMMAX3000? All our manuals are available here. 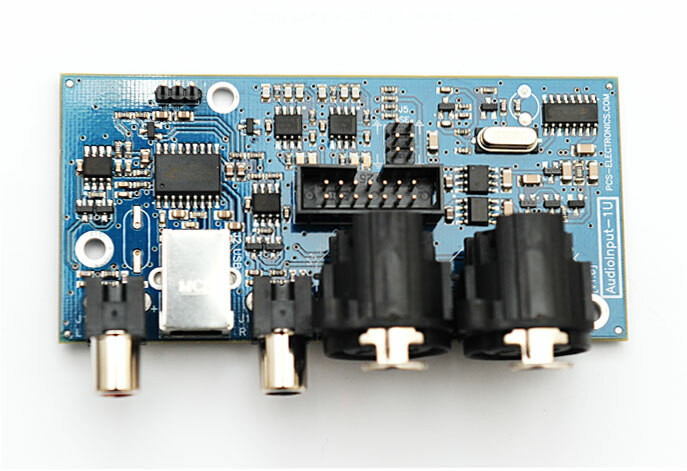 - Audio input board adds XLR, RCA and USB audio inputs to the transmitter. It is also equipped with extra input limiter, low pass filter and balanced input stage with ESD protection. You may think this is not needed, but believe us it is nice to have. - We will install Barix instreamer inside with STL firmware for you and you can play audio from audio streams. There is also automatic MP3 playback from USB that starts where there is no active stream.